The church has a problem. 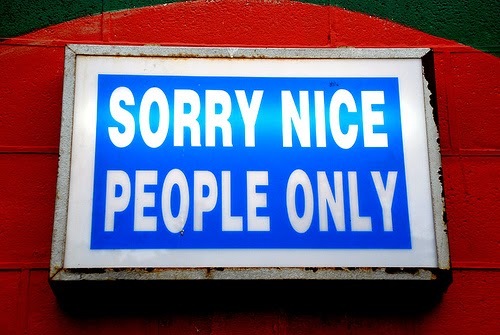 Some call it the Culture of Nice. I call it the Flanders Phenomenon. You know Ned Flanders, right? He's the uber religious next door neighbor on The Simpsons. The earnest, Biblical literalist who uses such saccharine catch phrases as "Hey-diddly-ho!" and "okilly-dokkily!" The exceedingly nice pushover whose unfailing good mood can't be disturbed even by Homer Simpson's most egregious un-neighborly shenanigans. Yes, Ned Flanders is an animated caricature. But he's also precisely what's slowly killing the church. He embodies the Culture of Nice that has become the hallmark of many Christian communities. We live in such fear of offending that we bend over backwards to the point of losing our spine. a revolution by being meek and mild. 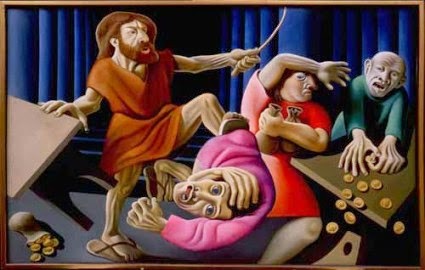 Take the classic example of Jesus' interaction with the money changers at the Temple. The whole set-up was a convenient win-win for both travelers and those looking to profit from the system of sacrifice. But Jesus was not in the mood to “play nice” when he showed up that day. And if you asked one of those money changers who just had his table flipped over about Jesus, I guarantee the word “nice” would not cross his lips. But, still, this incident is in precise keeping with who Jesus is and what he preached. Jesus didn’t just snap – he’s not an out-of-control hothead -- but he was angry. And he was angry because relationship with God was being sacrificed to the idol of worldly affairs. He wasn't angry at the people themselves but at their blindness and hardness of heart. Yet through this very anger, Jesus was preaching the Gospel of love. And by flipping over some tables and raising his voice, Jesus shows us that it is acceptable to stand up publicly for truth and justice; to call people out when they aren't behaving appropriately. Not out of uncontrollable rage but out of deep conviction -- even if it’s not particularly nice. 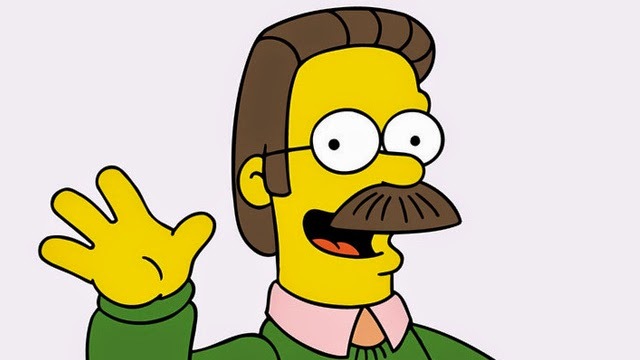 So we see that Jesus was not Ned Flanders nice but passionate about breaking open the Kingdom of God on earth. Which sometimes meant trampling upon the culturally accepted superficialities of niceness. Calling out parish bullies who hijack the church's mission through attention-getting measures. Cutting through the usual banal coffee hour conversation to find out how it really goes with one another's souls. Not avoiding conflict but leaning into it and dealing with it before it festers. Creating a culture where, yes, people are nice to one another but not at the expense of boldly proclaiming the gospel. Forming leaders who are passionate about their faith and authentic in the ways they communicate it. Reaching back into our tradition rather than going outside of it to engage innovation and change. Being willing to skewer sacred cows if they're not consistent with the church's broader mission. One reason the church isn't popular with young adults -- millennials -- is their highly attuned BS detector. There's nothing authentic about relationships where every one is continually, if metaphorically, saying "after you" to everyone they encounter. Real relationships are messy and the incarnate God in Christ knows this. After all, he wasn't born in a fancy palace or a sterile delivery room but in a stable and laid in a manger -- which is simply a poetic synonym for "feeding trough." The sooner we leave the Flanders Phenomenon behind, the sooner we can get back to the real business of spreading the gospel of Christ with passion and conviction. And that's something that really would be "nice." I spent some time in a church that was governed by millennials and gen xers who were definitely not worshipping at the false idol of nice. I think the table turning gospel story was probably a big favorite. You should speak to everyone the way Jesus speaks to the Pharisees, for their own good, otherwise you're enabling their bad behavior. In the short time I was there, I observed ugly meltdowns that resulted in people leaving. I think we need to keep sight of middle ground. We need help with how to relate to one another. We're all complicated beings. Jesus did show compassion and understanding. He was forceful only when necessary. Love the mental image of skewering sacred cows--shish kabob, anyone? Right on, Tim! There is no such thing as "cheap grace". One look at the crucified Christ proves that. We do no one a favor by failing to convict evil when we see it. "Speak the truth with love". You are absolutely right. So long as we don't go the opposite way, where church is like when the hipsters move into Springfield, I think you are on the right track. Oh I think this is spot on. But then again, we attend a typical Episcopal church where you have more older than younger people. However,we do have a lot of young families. 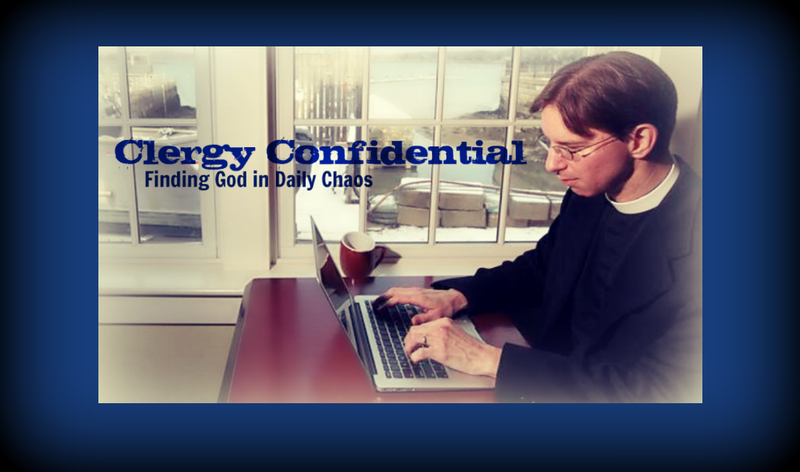 There is a typical Episcopal culture, which tends to be all about how we have always done it. We should shortly be getting a new rector, and I can only hope that this person will be more like what Tim is talking about and less like business as usual. Often, (if not most all the time) this happens because we want to attract people, to evangelize. I think the word evangelize comes from the idea of spreading the gospel. So, right there, nicey-nice won't cut it. If we put on a false face just in order to attract people to the faith, we are being liars. It's like posting a fake profile on a dating site. Yes, you'll get dates, but they won't stick around if you show them the real you. If we are true believers in Christ's word, then we shouldn't be afraid to proclaim that Word. We are not to be judgmental; we are to be loving. Yes, that is true. But, we are to be honest in proclaiming the Word. I'm so tired of hearing that we have to change because the next generation has a better BS detector than the ones that came before. Why do you think young people have been leaving the Church since the 1950s? Because we ALL have our BS detectors going at full tilt in our teens and 20s. Many of us come back in our 30s because we have kids that "need to go to church" or life crises. So how about skipping the niceness issue and deal with what will really show the Christian message: Be Christ to one another and to the world. Not be nasty to the bullies; help the homeless. Really help them, not just give money to shelters or hand out blankets. Spend the night at church while hosting men, women, or families. Make a meal and hand it to the hungry. Create a job for someone who doesn't have one. Make a real difference in the life of someone who so desperately needs it. Then watch the young people, the old people, the Holy Spirit, and even your own kids come streaming to your church.